Email Marketing Tips: Why your Email Subscribers are Pissed Off from your Emails? Home / Email Marketing / Email Marketing Tips: Why your Email Subscribers Hate Emails from You? As an internet marketer, you must have searched how to promote your blog and its content. 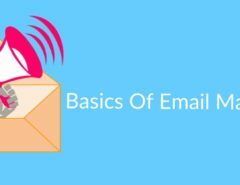 While searching for it, you must have learnt about Email marketing tips and tricks that are being used by other internet marketers. No doubt Email marketing is an evergreen way to get website traffic. If you have thousands of Email Subscribers then you should not be much worried about various Google updates. For running successful email marketing campaigns you have to create an email list. Which you can create by implementing some lead capture pages, pop-up, or by offering some freebies in exchange for visitors email. Let’s see why your subscribers ignore your email and let me share email marketing best practices with you. Did you notice subscribers are not showing interest after subscribing to your blog? Are they not opening you Emails? The reason could be the content you post. While collecting email ids of subscribing to your blog, you mention what content you will provide to your subscribers. Solution: Be clear what Content your Blog Subscribers should expect after Subscribing to your Blog. 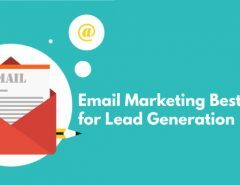 You should apply various email marketing tips and tricks, but please don’t mislead your subscribers by showing a convincing content which you cannot provide in future. Subscribers may have subscribed your blog because of your blogs attractive designs and posting style. Thereafter, they may have gone through a well-written article on your blog. But after subscribing, the content they are receiving in their email, be it Blog Posts or other content you are sending your subscribers, they are not finding it useful. Solution: Always ensure whenever your email subscribers receive an email from you, then Content should be of supreme quality. Never compromise with it. To get the subscribers you offer attractive freebies and incentives. Your blog visitor may have subscribed for that only. After subscribing your blog, once they get the freebies they may never come back to your blog or even open your email. Solution: Either totally ignores them, say to yourself: “it happens”. Or, filter out the list of your email subscribers who don’t open your emails and delete them (I won’t suggest you this unless have tried my next tip given below). Sometimes bloggers write multiple posts with the variety of niche to impress the large audience, they write over different niche within 1 blog. But the subscriber may want to read posts regarding his interest only. Finding this variety of niche irritating he may never come back. Solution: Stick to one niche. If you want to write for the different niche, ask subscribers their interest and send them the updates accordingly. Are you sending 15-20 blog post per mail? Readers will surely find it boring to read this much post in a single attempt. Finding it a lengthy job, they may have opted to keep it pending. Solution: List your top posts. Send one or two posts in an email. Try to keep the subscribers engaged on a daily or weekly basis. Some of the best email marketing tips and tricks you can learn are to write killer Subject lines. When you send the emails to the subscribers, they will open the email only when they find the subject line interesting. If your write a dull subject for you emails, the subscribers will always be inactive thinking that the content is not worth reading. If your write a dull subject for you emails, the subscribers will always be inactive thinking that the content is not worth reading. Solution: Be creative with your email subjects. Convincing subject lines can force the subscribers to read your blog content. Always keep your email subject catchy one. Mails you are sending to your subscribers may be landing in the spam folder. Normally users never check their spam folders very often. If such problem happens, all the efforts you do for sending emails will be wasted. Solution: Mass sending must be avoided to get rid of spam label. 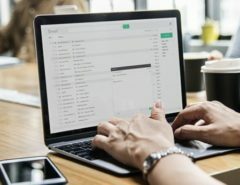 In spite of sending an email via Bulk email software, use some reputed services like Aweber, Mailchimp, etc. Try to avoid spammy words in the mail like click, cash, sale, click here, click below, subscribe etc. The subscriber may have subscribed a lot of blogs whichever he liked. All blogs will then be sending emails to that subscriber. One cannot manage over flooded emails. As he is getting a large number of emails from a number of blogs, how he will read all of them? Solution: This problem is mainly from subscribers side. In such case, the best email marketing practice is to write a competitive content and attractive subject lines. Write such impressive subjects of the emails one cannot skip. If you email your subscribers with a marketing purpose, it will disappoint them. Over promoting, contents are mostly disliked by the subscribers. Solution: Mail a convincing post content to make them buy you product naturally. Be sure about quality content. Write the content to make them eagerly wait for your product sales. There is a certain time of each one to open their email inbox. It depends on the person, his spare time or the time of content need. This peak time for emails may vary from people to people. Solution: Test the best time for sending emails to your subscribers. Send emails with different day and time. Keep a watch on when you are getting high email open and click rate. Stick to it for some time, then again experiment and again scale up and optimize your campaign. Subscribers may find your emails little bit dull for reading. A long, lengthy, complex and confusing template will make subscribers hit the back button. Solution: Use an attractive template to create interest in reading your emails. Too much lengthy or too short content may be skipped without reading. Must Read: WP Engine Review: Is this good for your WordPress Blog? When the visitor to your blog has subscribed he may be concerned with your blog niche. But, now he may have switched to some other work or another niche of interest. The niche your created may have died with time and you are still writing over that niche. Solution: Cope up with the changing time and accordingly changing needs of subscribers. If you write a typewriter hacks in this era, no one can find it worth reading. Change with the changing time. I think I have shared enough email marketing tips and tricks for you to know why your subscribers are not coming back after subscribing your blog. You need to be updated and attentive with the reasons and fight them out with the respective solution to get the sustainable subscribers. Always focus on quality leads / subscribers for your blog instead of their quantity. Moumita Ghosh is a freelance Writer and a blogger. She writes technology and Online Marketing related articles. To know more about her work please visit Websiteandtechnology.com. Thanks. These are useful tips. I always try to do my newsletters as much segmented and personalized as possible. Relevance of your message is one of the most important factors in building a meaningful conversation and in successfully engaging with your client. I use SendPulse email marketing service for my newsletters. There’s plenty of automation capabilities like setting up autoresponders and scheduling your messages. Yes, time is important too. The right time can make all the difference. Great post and infographic. I agree with all your tips.